If you need to find a reputable office moving company which serves an assortment of California cities, town and regions, then you’ll be pleased to know that we provide the very best in office movers, for very affordable rates. At Mover’s Best, we’re proud of our good standing as a business in the California community and we do all that we can for our clients. This means delivering the exact level of moving support that our customers need, day in and day out. We are a full-service office moving company, so we are pleased to provide as little or as much support as you like. For example, if you want our technicians to come in and pack things up for you, and also perform assembly and disassembly, we’ll be happy to oblige. If you prefer to pack up your office on your own time, yourself or with a office movers, we’ll provide you with free packing materials. We are pleased to cater to the needs of our valued clientele. Our goal is to give you what you need, so that your office moving services is less stressful. We employ a team of hard-working moving technicians. They have clean drivers records and they are strong and well-groomed. They have years of experience in office moving services, so they’ll ensure that all of your files, office equipment and furniture is transported from Point A to Point B safely. 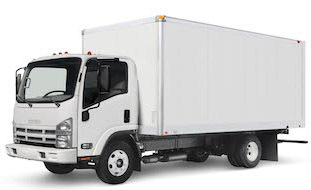 Whether you want to move down the street, out of state or right across the country, Mover’s Best has the trucks, vans, moving equipment and packing supplies that you need. We are a bonded company and we also offer insurance coverage to our clients. You may choose the level of insurance coverage that is right for you. In addition, you should know that our rates are very reasonable. We are proud to offer affordable services and we never tack on unnecessary charges. We avoid the shady business practices that give other office moving companies bad reputations. Everyone deserves to feel important. When you select Mover’s Best for your upcoming office move, you’ll be primed to enjoy respectful service which is warm and caring. We are busy people, but always have plenty of time to discuss details with our customers. When you contact us today, we’ll give you a voice and find ways to meet your timelines and expectations. Choose the office moving company that you need, let us know your schedule and then sit back and relax as we plan out every detail of your office move. Outsourcing the task of moving to our experienced company will be a good decision for your business. Since we are so efficient, we’ll streamline the move for you and minimize interruptions. Our goal is to help you get back to business as soon as possible. Now that you know more about us, why not connect with our team today? We’re standing by in order to answer queries and address any concerns that you might have. We’re also ready to book a move for you today. By reserving the right vehicle or vehicles and ensuring that staff will be at your place of business on the right day, we’ll take so much pressure off of your shoulders. You can rely on us to provide professional service which is timely and impressive. Our movers have such a strong work ethic and they will definitely treat your belongings with kid gloves. They are packing and moving experts and they know that you want everything to arrive at Point B in perfect condition. So, why not call us up or email and arrange your office move?